Flat roofs, often called shed roofs, tend to require higher levels of maintenance than traditional pitched roofs. This means that you will need to focus on maintenance because they are subject to damage from falling objects as well as poor drainage. 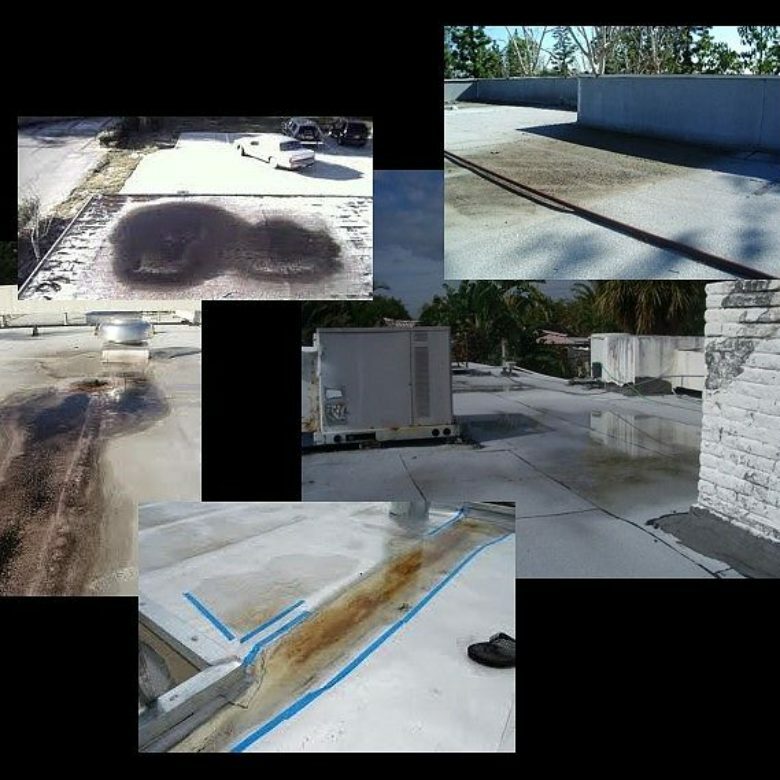 When you look at flat roof maintenance, it is all designed to overcome some of the most common maintenance issues. 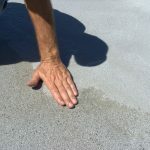 If there are leaks on a flat roof, the water doesn’t have very far to travel. As such, the water is likely going to come right through the ceiling at the point of the hole, causing damage to the interior. Further, if the repair isn’t made quickly, the water is only going to cause the hole to get bigger. This will lead to a more expensive repair down the road. Another issue is that of splitting, caused by the sun and its UV rays. While there are ways to seal the roof with black asphalt, it can be a time-consuming task. Larger and more heavily damaged sections may need to be patched prior to the coating going on as well. You want to do all you can to overcome the maintenance issues that occur. Otherwise, it will only be a matter of time before you have to spend a significant amount of money in repairs. In some instances, repairs are no longer enough. This would mean you have to consider the cost of replacing the entire roof – something you may not be financially ready for. A flat roof has been around for thousands of years. It is one of the most common types of roofing, particularly within commercial buildings. No property or business owner wants to deal with repairs. This is because it’s costly and can make it difficult to handle the repairs because business may have to close down. Therefore, it is up to every building owner to focus on roof maintenance. With a flat roof, much of it is dependent on filling in low spots. Otherwise, it is the low spots where water will puddle and it won’t be long before a hole forms due to the weight. Additionally, when there is better maintenance on a flat roof, a positive slope can be achieved. This will allow for proper drainage so that no puddles form. When you have the right slope, you can make sure that there is no water pooling on top of the surface, which will ultimately cause the low spots. It can also prevent breaking from the UV rays of the sun. Your goal is to spend as little as possible throughout the year. Maintenance is required on everything to keep it in good operating condition so you don’t have to worry about unexpected repairs. It is why you schedule your car for oil changes and why you have a HVAC technician come out to look at your air conditioning unit periodically. If you don’t focus on flat roof maintenance, it could end up causing you a lot of headache and costing you a lot of money. You may not have roof repairs in your budget. 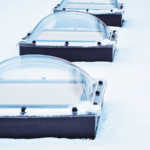 Knowing that you have a flat roof, you have to be prepared for what you are going to encounter. By using a product that allows you to fill in some of the low points, you can be sure that you are doing what you can to maintain the roof throughout the year. You can eliminate ponding, improve drainage, and ensure that you aren’t getting a constant source of leaks that could impact the interior and exterior of the building. 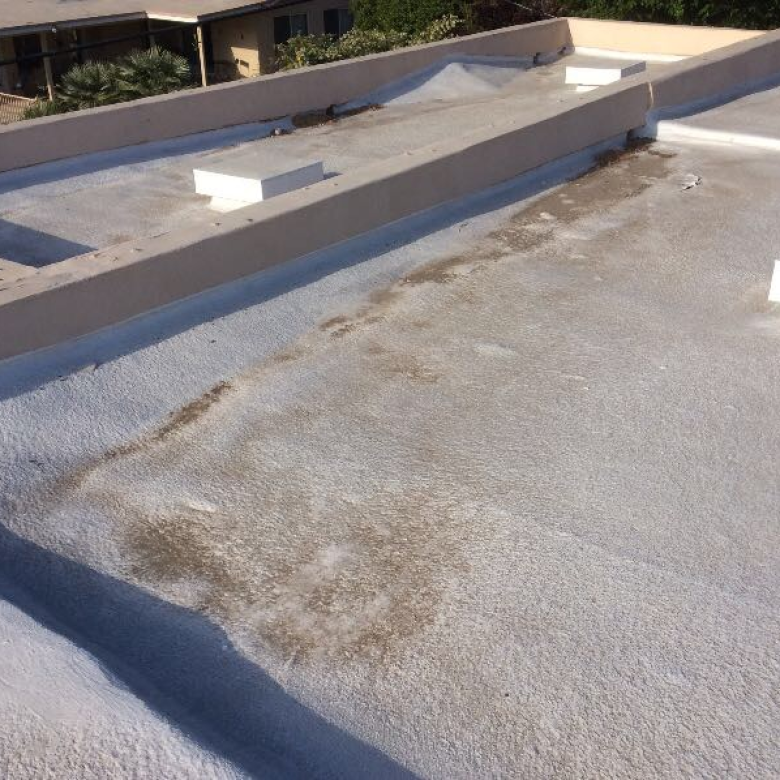 Learn more about flat roof maintenance by contacting RoofSlope today.